Numerous celebrations and festivals in India are celebrated annually, from national festivals to religious ones. Here is a list of some festivals of India such as Diwali, Holi, Rath Yatra and more. Read and discover! Compared to other religious festivals, Christmas in India is a quite small festival, due to the number of people who are Christians. Read More! Festival of colors in India is one of the religious of the festivals where revelers take to the streets and spray people with colored powders and while dancing and making music. Know More! Diwali is the five-day festival of lights, celebrated by millions of Hindus, Sikhs and Jains across the world. Know more! Ratha Yatra is a major Hindu festival associated with Lord Jagannath held at Puri in India during the months of June or July. Kumbh Mela, also called Kumbha Mela in Hinduism, is a religious festival that is celebrated four times over the course of 12 years. Krishna Janmashtami is a holiday in the Hindu calendar that celebrates the birthday of Krishna, the god of love and compassion. Muharram Festival is the celebration of the first month of the Islamic calendar. Some Muslims fast during daylight hours on the ninth and 10th or 10th and 11th days of the month. Eid-ul-Fitar in India starts on the first day of the month of Shawwal. Many Muslims attend communal prayers and listen to a sermon at Eid al-Fitr. What do I need to do to book a trip to India and confirm my reservation? Booking a tour is simple. You just need to contact our representatives and you will receive a prompt response giving you the options available to you and then you can build a tour that will suit your needs. After that a detailed itinerary that includes all necessary information and plans will be sent to you. At this point, you need to confirm your reservation with payment of a deposit. Your reservation will not be confirmed until payment of this deposit is received by Memphis Tours. The balance of payment will be due on arrival to begin your tour. 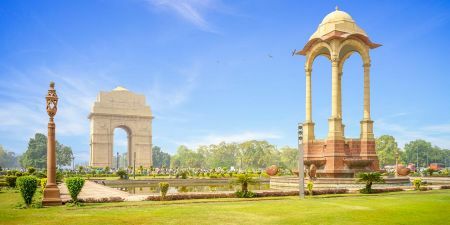 Why book an India tour package with Memphis Tours? We have tailor-make India travel packages. Memphis Tours creates consistently high quality, personalized tour experiences. Will I be able to exchange dollars, Euros, or other currencies during India tours? There are a large number of banks that can change cash and travelers’ checks in India. How much will I have to pay as a deposit for India vacation package? If you pay the full payment six months before the date of your arrival, we will gladly reduce the quoted cost of your trip by 5%. “Early Bird” rates require full, non-refundable pre-payment. Discounted tours will not be eligible for date changes or refunds. Is it common to use credit cards in India? It became more common to use credit cards in India. Credit cards are widely used in India in hotels, many shops, restaurants, and cafes. Are there certain vaccinations to be taken before traveling to India? Immunizations are not required to visit India. However, if you are traveling from an area infected with Yellow Fever, you must have a certificate. Is there any special dress code to be followed during visiting religious sites in India? There are not specific clothes to be put on while visiting religious places during India vacation packages. However, modest dress is recommended, and women will be asked to cover their arms and legs. Can I take pictures of the people, streets, during India tours? Indians are hospitable, however, it is polite to ask for a permission before photographing someone. What is the official currency in India? The official currency of India is rupee. It is advisable to exchange your money through authorized banks and hotels. You might need to convert your rupees back to your own currency, so keep your receipts. What are the opening hours for sites in India? Red Fort: Sunrise to sunset all days of the week (Closed Monday) India Gate: Open to visitors 24 hours a day, but after dark the area surrounding the main monument is cordoned off to visitors Jama Masjid: Open from 7 am to an hour before sunset in summer; open from 8 am to an hour before sunset in winter. The masjid is closed for half an hour in the afternoon for prayers. 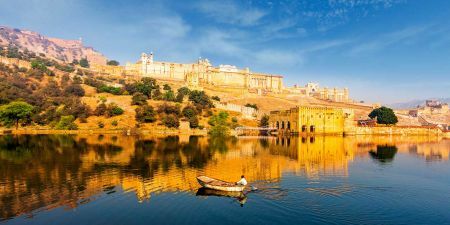 Amber Fort: Open from 10 am to 5 pm all days Hawa Mahal: Open from 9 am to 4:30 pm all days Jaipur City Palace: Open from 9:30 am to 5 pm Agra Fort: All days of the week from 6 am to 6 pm Taj Mahal: Open from sunrise to sunset all days except Fridays Mehrangarh Fort Museum: Open from 9 am to 5 pm all days Ranthambore National Park: Open from 6 am to 10 am and from 3 pm to 7 pm all days Panna National Park: Open from 6:30 am to 10:30 am and from 2:30 pm to 2:30 pm to 5:30 pm Chandni Chowk: Opening and closing times vary according to each store. The stores are open all days except Sundays. Do I need visa to visit India? Travellers from Bhutan, Maldives and Nepal do not need visa to visit India. Travellers from other countries need to apply for a visa before arriving to India. More than 100 nationalities can apply for a 30 day Electronic Tourist visa or Visa on Arrival before arriving in India. One needs to apply for a 6 months tourist visa for trips longer than 30 days. A tourist visa is valid from the date of issue while the e-visa is valid from the day of arrival to India. In a restaurant, it is good to give between 5%, for an average tip and 10%, for a huge tip. Tipping your tour guide and vehicle driver is completely optional but should be considered if you're provided with great service. If you decide to tip feel free to give what you think your experience was worth. Do you include Taj Mahal on your tours to India? Yes, we do. We include Taj Mahal on all the tours that cover north India. Our guide will help you learn a lot about Taj Mahal and why and how it was built. Our tours to Agra also include a visit to Agra Fort. I want to see tigers in India. Do you have trips to India for that? Yes, we do. There are a number of national parks and wildlife reserves that protect the numbers of this endangered species. We have tours that include visit to Ranthambhore National Park to experience the wildlife in India. We also have private tours that include other parks such as Bandavgarh National Park. What about the food hygiene in India? If you abide by the standard rules of food safety, there would be no reason to be worried. Stick to busy restaurants and avoid street food. Indian cuisine is diverse and has a lot of delicious dishes, so do not miss food experience in India. How big are your groups of tours to India? The average group size for our tours is around 15 passengers. What are the standards of hotels on your trips to India? Throughout your visit in India, you'll be staying in 4-5 star hotels with a mix of modern and heritage properties. Mainly, you will be travelling in comfortable private vehicles with air-conditioning. The size of the vehicle depends on the number of the group. There will be a chance to experience local forms of transportation including a rickshaw ride in Delhi and a houseboat ride in Kerala. Climate in India varies dramatically from north to south though the dry season is the best time to visit. The months of October to February are the ideal months to visit India, as rainfall is minimal in most parts of the country. Visitors should always wear long trousers or skirts or shorts that reach below the knee and shirts with sleeves when visiting a religious site. Tipping in India is a preferred gesture, as it makes up a significant part of many people’s wages. It's advisable to dress conservatively, covering your shoulders and legs. Smoking is not allowed in temples. Couples should avoid holding hands there. Do not drink tap water, and only drink bottled water. The ideal time to visit India is between the months of October and February. One should pay a visit to the famous Indian Golden Triangle in north, covering Delhi, Agra and Jaipur. Rajasthan is a must-visit state with its beautiful vibrant cities Jaipur, Udaipur and Jodhpur. Undoubtedly, Mumbai is among your finest options if you’re looking to explore India’s vibrant urban nightlife. Make a trip to Kerala and discover sandy beaches, lush waterways and wildlife reserves. 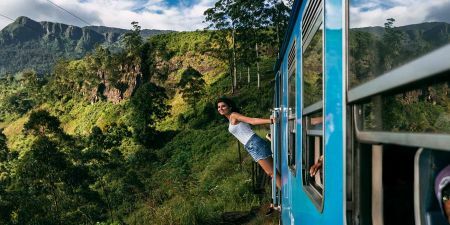 A must-do experience in India is travelling by train, as it is a great way to meet local people. Experience the wildlife of India and pay a visit to Ranthambore National Park and more.